This recipe was sent to me by an acclaimed field trialist in Australia...to date his dog, an Epagneul Breton, is still the highest scoring dog in the field trial world in Victoria...he won the National twice and ran second in his third and final national. The dog also won numerous state championships. As it is with aging dogs, they are prone to lose their wonderful hearing...in his last trial, the venerable dog took his cue to make a retrieve by his master rolling a smoke!! Soak the hare in salted water for twenty four hours. Turn the hare pieces occasionally. Remove the hare, drain and dry on kitchen towels. Strain the marinade and keep the liquid. Grate the ginger root over the pieces, then wrap with the bacon rashers. 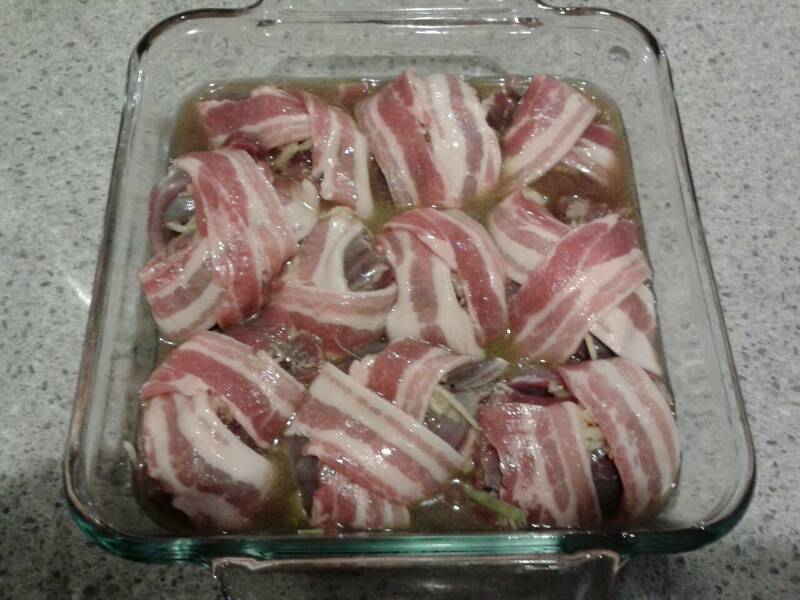 Place the wrapped pieces along with the strained marinade in a lidded casserole dish and cook at 180C for 2 hours. 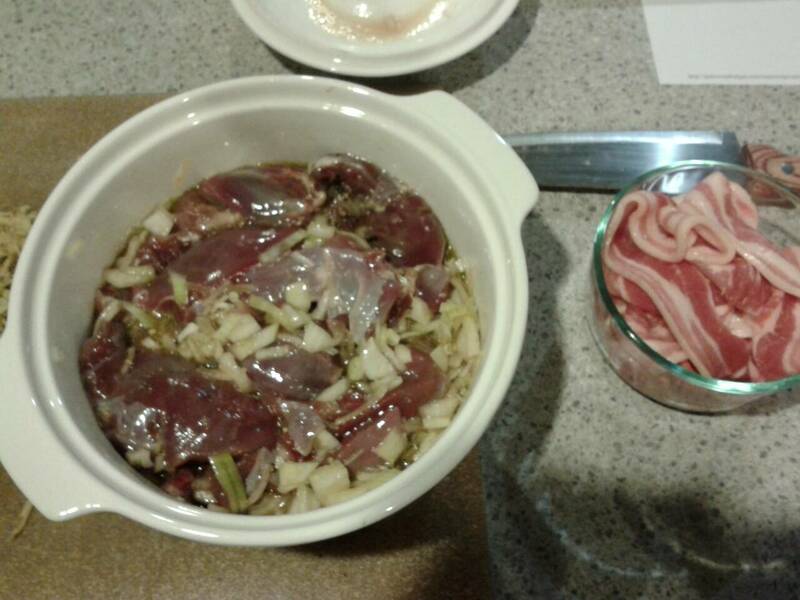 Remove the hare and keep hot, simmer the marinade until it thickens and add cream. Season with salt and pepper to taste. Last edited by EeeBees; 17-08-2014 at 04:27 PM. veitnamcam, Angus_A, mrs dundee and 2 others like this. Will have to try this next time i get my hands on some bunnies cheers Eebees. Everything is improved with bacon even pork lol. EeeBees and kiwijames like this. EeeBees, R93 and Biggun708 like this. 7mmsaum, veitnamcam, EeeBees and 1 others like this. Gunna give this a whirl, it looks bloody good. I used to have a "Fabian's Rabbit" recipe that was our staple, but can't find it anymore. If anyone knows it, post it please. It had lots a bacon. Tried uncle Google but no go. Was in an old recipe book my Grandmother had. As soon as the supermarket has rabbits again i'll definitely be giving this another go. Wonderful dish. I think i might know the one you're on about. I believe its in a really old cullinary school manual from the 40s i have at home. Will look for you when i'm back in wellington. veitnamcam, EeeBees and R93 like this.